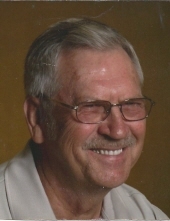 James "June" H. Doyle, Jr., 75 of Flemingsburg, passed away peacefully January 7, 2019 at Hospice of Hope in Maysville surrounded by his beloved family. He was born February 8, 1943 in Fleming County to the late James Howard and Mary Isabelle Parker Doyle. James was a retired foreman of Brownings/Emerson in Maysville where he was employed for 35 years. After he retired in 2004, he took over the park manager position at Fox Valley Rec Park, which he was still doing until recent months. James loved the campground and was dedicated to its upkeep. Visitors could always count on finding him sitting on the front porch in his rocking chair waving to them upon their arrival. James never met a stranger and he was always ready to share his campfire with any camper or visitor. When James wasn't managing the campground, he enjoyed camping with his sons or vacationing with his family in Pigeon Forge, TN, his favorite home away from home. James rode motorcycles until just a few years ago and was instrumental in organizing many successful charity rides for families in their time of need. One of his greatest passions, after his love for family, was cooking. He loved cooking over the open fire and enjoyed preparing foods for his family and friends. James was a member of the Flemingsburg Christian Church. James is survived by his devoted wife of 58 years, Wanda Toller Doyle; a daughter, Mary Jayne (David) Watson; and identical twin sons, Ronald Wayne (Melody) Doyle, and Donald Layne (Jill) Doyle, all residing in Flemingsburg; six grandchildren, J.P. Doyle, Ethan Doyle, Nathan (Jenna) Doyle, Allie Doyle, Kinsey Watson, and Hazy Varney; two great-grandchildren, Garrett and Alayna Varney; brothers, Lloyd (Darlene) Doyle and Larry (Brenda) Doyle; sisters, Jean Hester and Shirley (Taylor) Williams; and many nieces, nephews, brothers-in-law and sisters-in-law, and lifelong friends. In addition to his parents, James was preceded in death by: his oldest granddaughter, Candi Watson Varney; great-grandson, Waylon Jacob Varney; an infant sister, Letha Doyle; sister, Joan Doyle Toller; and two brothers-in-law, Clayton Hester and Charles Toller. Funeral services will be 11:00 am Saturday, January 12, 2019 at the Flemingsburg Christian Church, 201 E. Water St., officiated by the Rev. Tracy Parker and the Rev. Milt Stanfield. Visitation will be 5-9 pm Friday at the Flemingsburg Christian Church. James final resting place will be in the Mt. Carmel Cemetery. Active pallbearers will be J.P. Doyle, Ethan Doyle, Nathan Doyle, Garrett Varney, Danny Collins, Jimmy Hamilton, Bob Chamblin, and Chip Spann. Honorary pallbearers will be Johnny Royse, Carl Lewis, Sam Lewis, Jim Davis, Wayne Hurst, and Hazy Varney. Memorials are suggested to Hospice of Hope, 909 Kenton Station Dr., Maysville, KY 41056 or to the Flemingsburg Christian Church Memorial Fund, 201 E. Water St., Flemingsburg, KY 41041. Funeral arrangements are in care of the Carpenter-Fritz & Vice Funeral Home. Visitation will be 5-9 pm Friday, January 11th at the Flemingsburg Christian Church.